AWWA guidance and EPA whitepapers do not work to get PWSs to clean their tanks every 5 years! their concerns are for storage tanks. a schedule recommended by guidance. occurs to them to clean their tanks. occurring from such a preventable cause. practical ways to protect public health. the last 5 years” as an item on their list of significant deficiencies. sediment buildup and/or the significance of breaches to a storage tank. will not work unless there is a regulatory back stop. work to get PWSs to clean their tanks every 5 years! do what is right for public health protection. to get PWSs to do what is right for public health protection. disease outbreak and defending yourself from class action lawsuits. 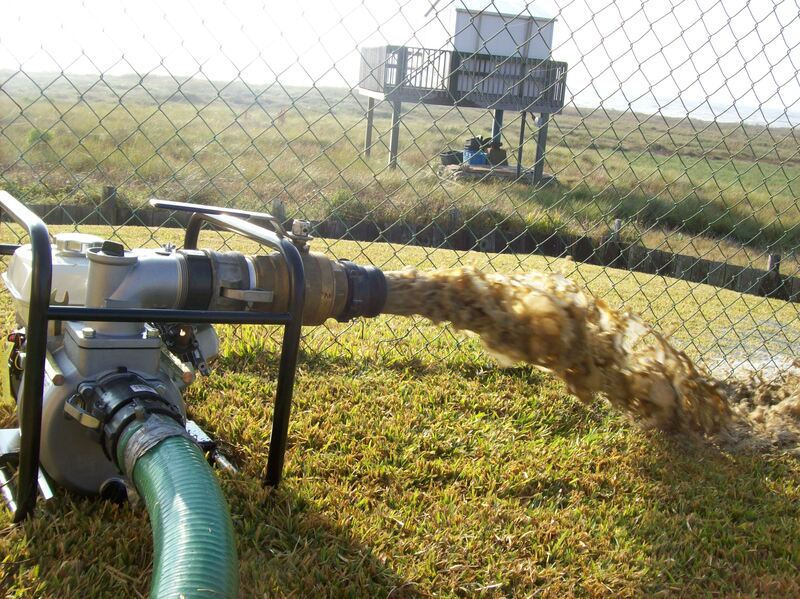 Sediment being removed from a ISD water storage tank in West Texas. My company Inspects cleans and Dives in poh-tuh-buh l Water Tanks. Inspects drinking water tanks with a remote camera, we can identify problems with interior coatings, corrosion and sediment. Sediment in patable water storage systems is a real problem. 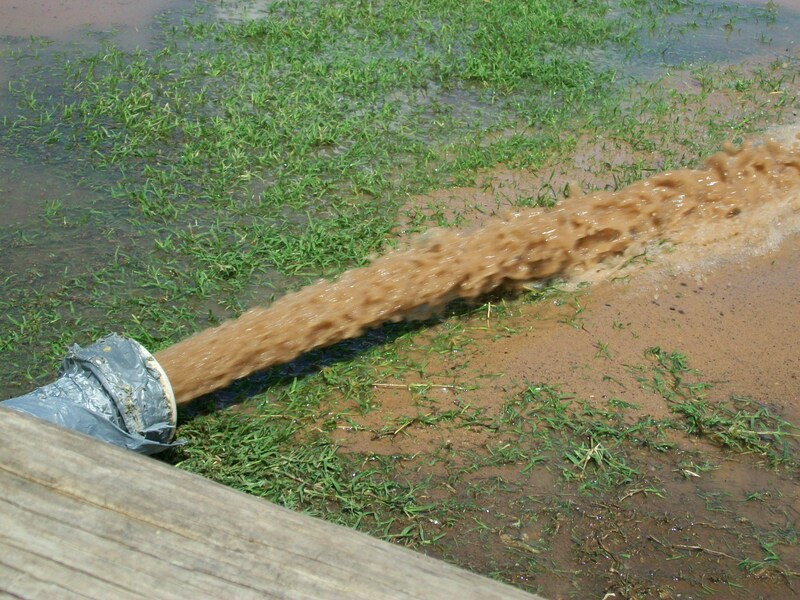 Sediment can be a habitat for bacteria to grow. Bacteria in a citys drinking water is not usually a good thing. The more sediment in a water storage tank or tower, the more chance there is for bacteria to come into the system, find a place to get a foothold and grow into a problem. 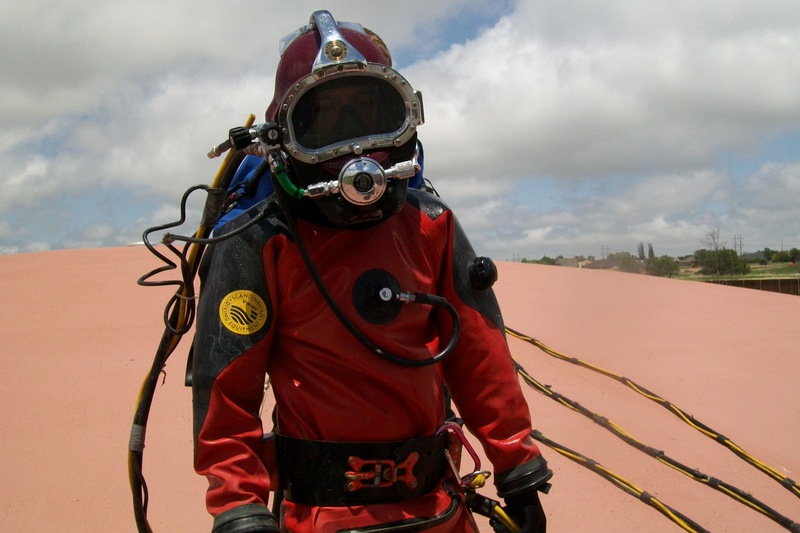 When our inspections find deep sediment in a water storage facility we offer to clean it out using commercial divers. Divers enter the water system wearing a dry suit enclosed in their own enviroment, they are washed down with a chlorine solution meeting AWWA standards. The diver can then remove the sediment without wasting several hundred thousands or even millions of gallons of water. This cleaning process also get the tank cleaner than the traditional method of taking the facility out of service. Everything that is loose on the floor is removed. If the tank is drained the loose semi liquid sediment often compresses into a hard clay like substance making cleaning much more dificult and not nearly as effective. 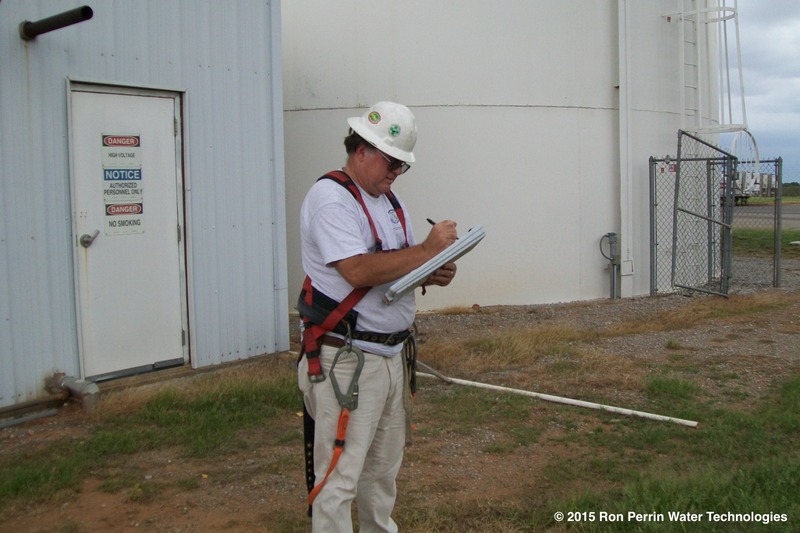 See more about our Inspection and tank cleaning service at www.ronperrin.com . We are now happy to Inspect and clean Drinking Water Tanks. Also See our other blog At www.tankdiver.us .